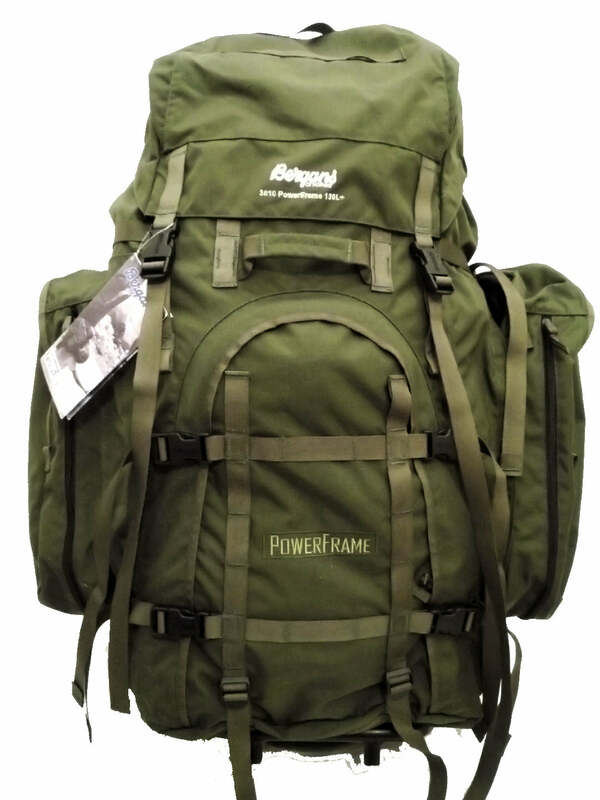 The 3810 PowerFrame is the largest pack manufactured by Bergans of Norway. It’s a top loader, featuring a detachable top lid, lower half panel access and a storm collar divider for separating your gear and/or kill. It also has two expandable, removable side pockets that can be zipped together to form a daypack. The side pockets are each removable via two molded #10 zippers and can be joined together to make a daypack, weighing 1 lb 7.21 oz. 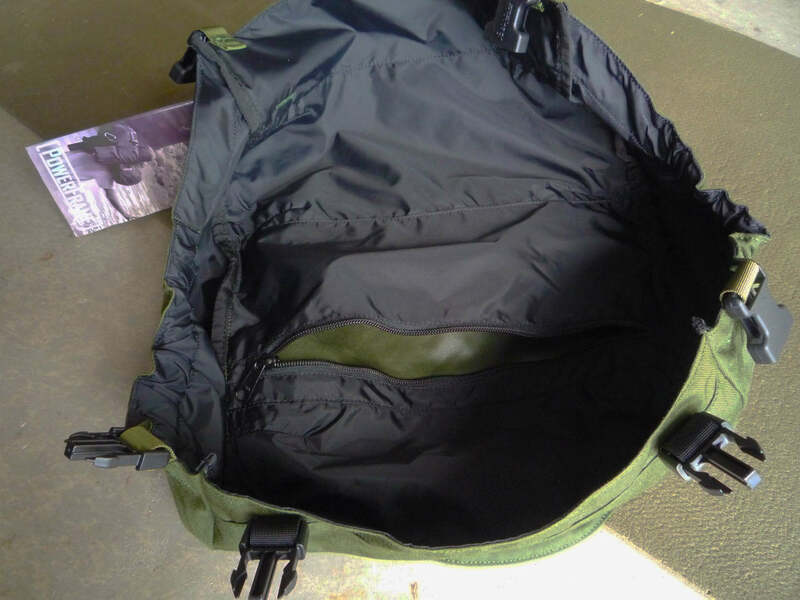 The ease of attaching and removing these pockets is facilitated by the pack’s compression straps being routed underneath the pockets, to ensure they don’t get in the way. The pockets are expandable by a zipper that spans the length and width of the body, which exposes an additional 4.5” of fabric. The pocket dimensions are 17” x 7.5” x 8” expanded, 4.5” collapsed. 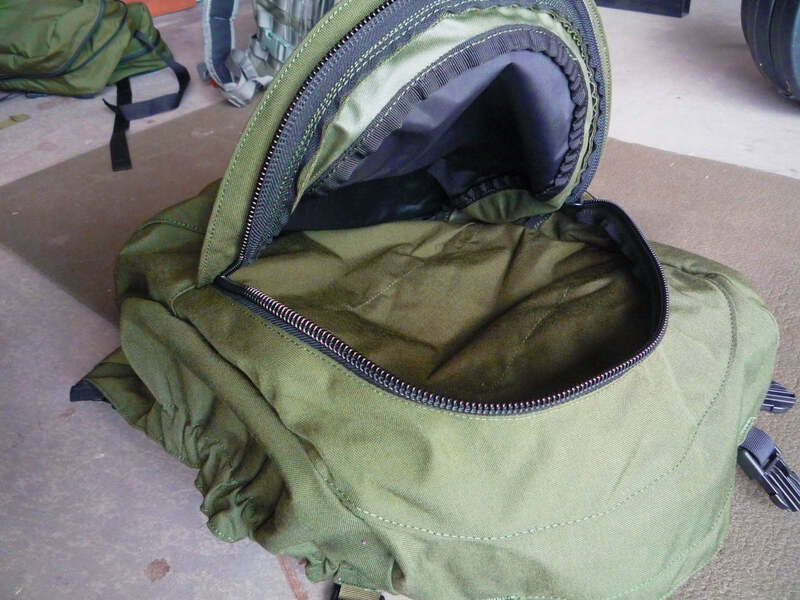 The top lid weighs in at 1 lb and includes a roomy external pocket that measures a healthy 17” x 13” x 4.5” and an internal flat pocket that is 6” x 12”. 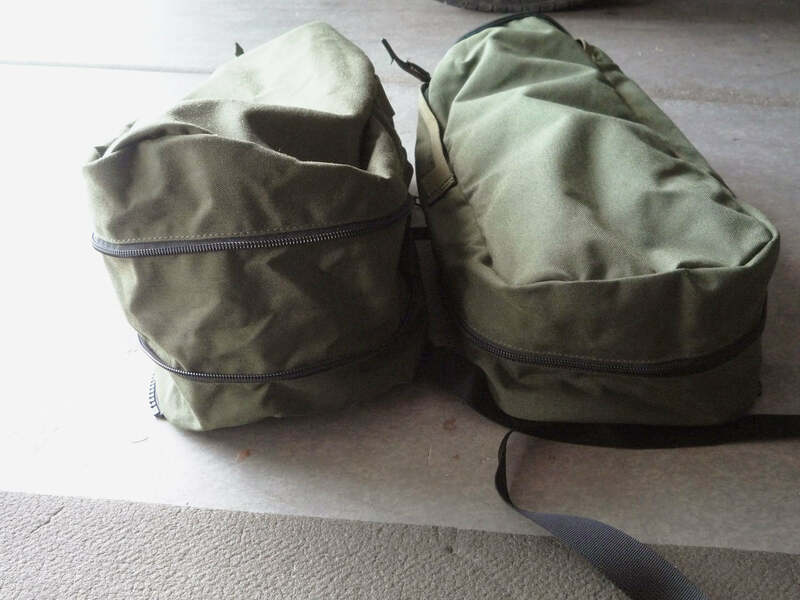 The lid attaches to the main bag via six side release buckles with a somewhat odd configuration (the two outermost buckles are male and female, respectively). The frame weighs in at 5 lbs 6.9 oz, measures 29” x 14.5" x 8” (with the load lifters terminating at 25.5”) and utilizes Bergan’s proprietary PowerFrame carrying system. 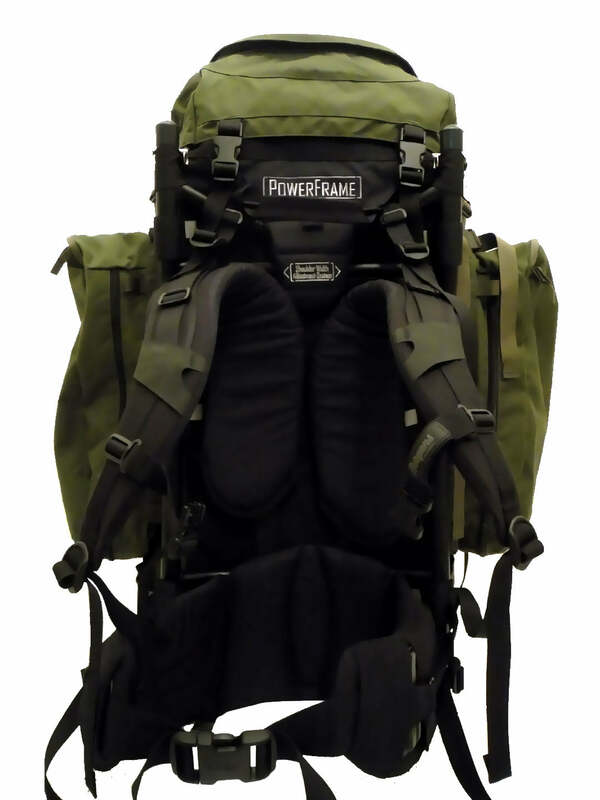 The PowerFrame features shoulder straps that can be adjusted for height via notched aluminum stays and locking plastic sliders that are attached to 1.5” webbing that routes to the shoulder straps. 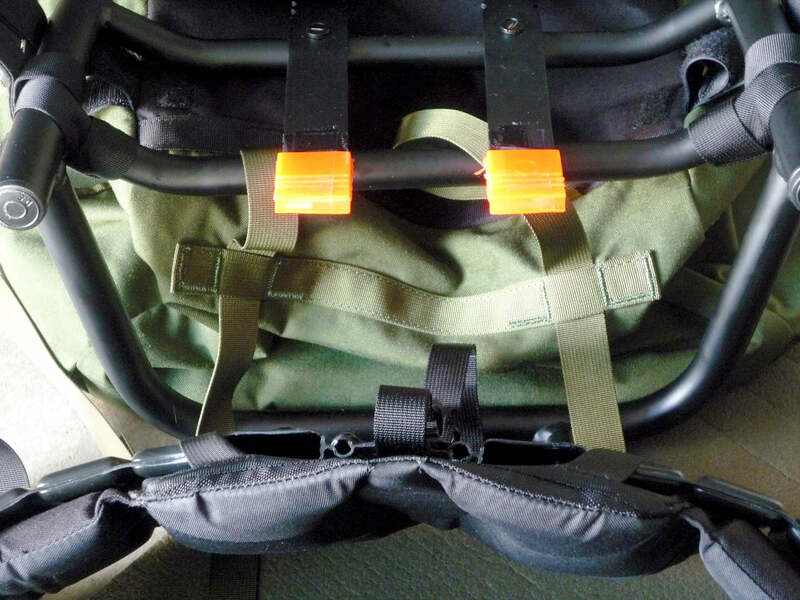 Shoulder strap width is adjusted via two nuts and bolts which fit into holes near the top of the PowerFrame. 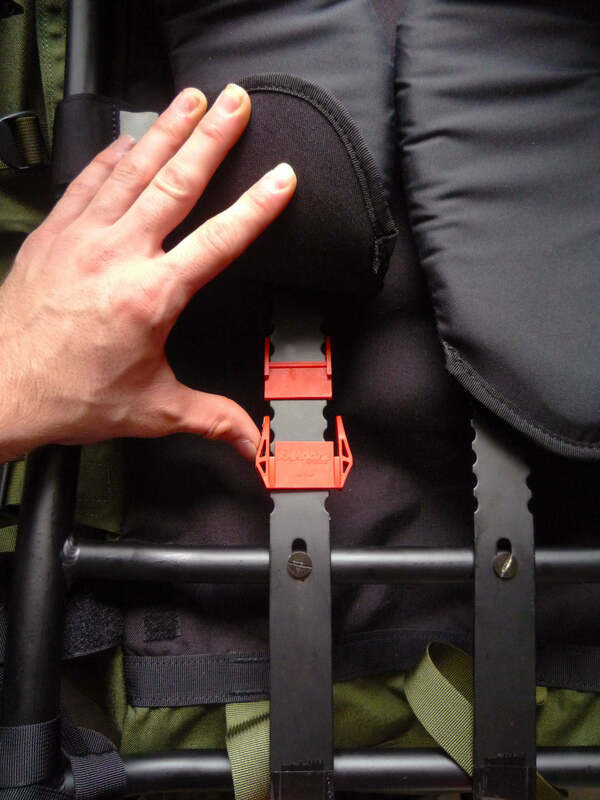 The notched stays terminate in the hipbelt’s plastic stiffener, to help transfer the pack’s weight to the hipbelt, and are capped with “elastomeric shock absorbers." 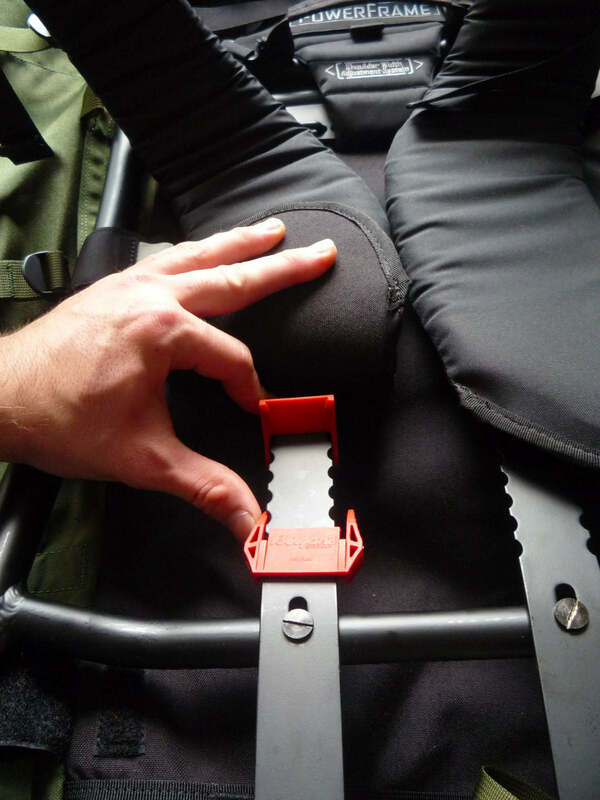 The hollow plastic stiffener that runs through the entire hip belt is housed in padding, which is also backed by HDPE plastic for added rigidity. 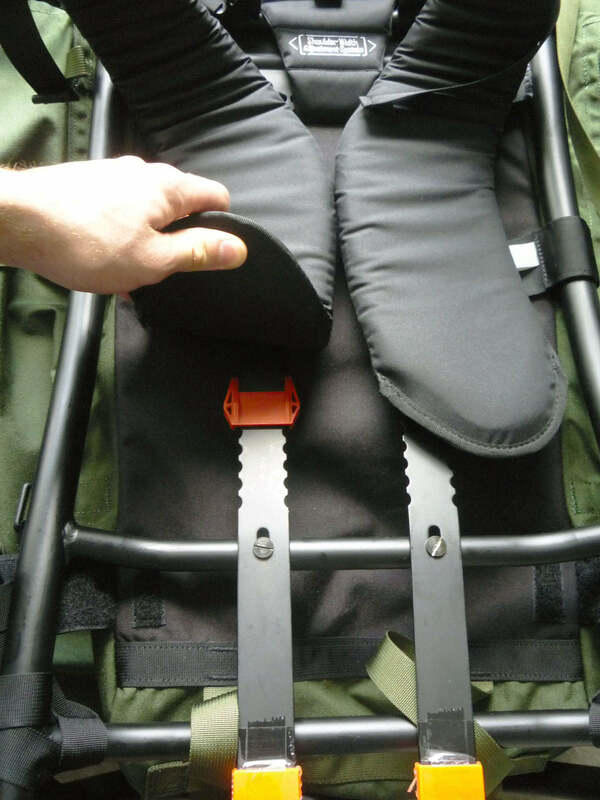 HDPE plastic is also present in the entire outer face of the shoulder straps, and this added rigidity helps the load lifters pull the shoulder straps more effectively. I took this beast for a test drive in various terrains to see how it rides (total weight of about 60 lbs, 45 of which was centered on the middle of my back, for about 2 miles). First things I noticed were the random Stealth buckle on the sternum strap, the 2” buckle on the hipbelt is extremely hard to loosen when it’s fully cinched, and the tri-glides on the upper portion of the shoulder straps are upside down, which made adjusting them extremely difficult. 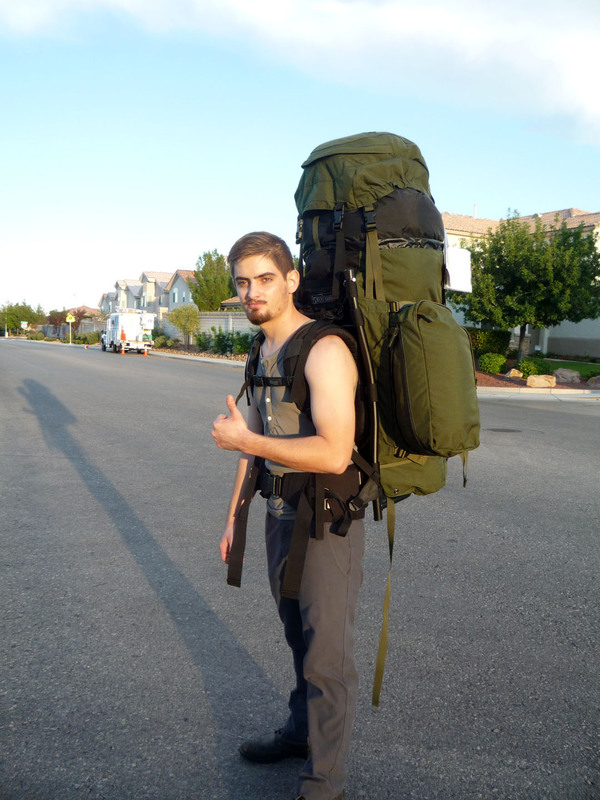 The pack, however, was very stable in uneven terrain, although it seemed like the frame sagged backwards slightly. This could be because the load lifter straps weren’t angled high enough, as they didn’t seem able to bring the top of the frame forward enough. The hipbelt’s excessive rigidity left my iliac crests sore by the end of the two miles, and while scrambling up a steep slope the hipbelt could be felt digging into my ribcage. My only complaint with the daypack is the pockets are separated vertically, so if they aren’t packed evenly the weight will not be distributed evenly between the shoulder straps. 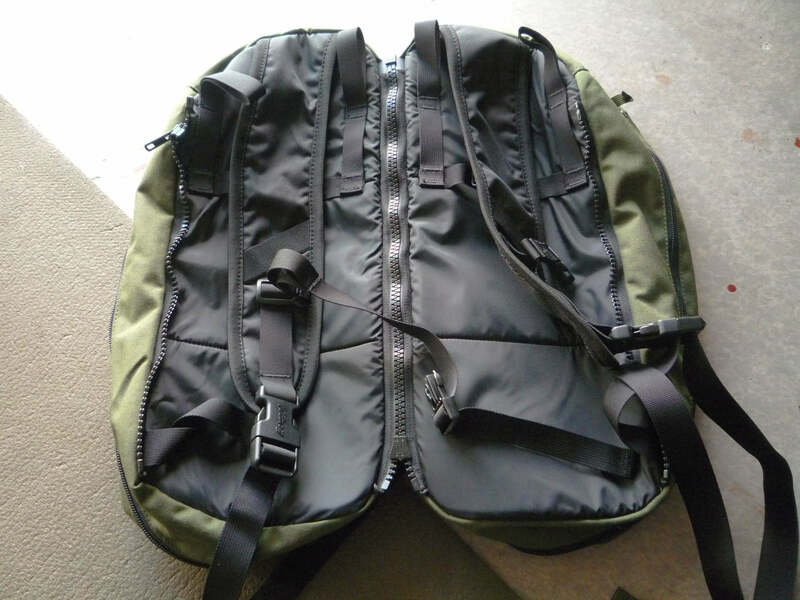 This is in contrast to the Mystery Ranch Daypack Lid, whose pockets are oriented horizontally, which means the weight will be evenly distributed to the shoulders regardless of how it's packed.